This week features the clean drawings of the beasts. I’ve done all the creature drawings and so also started with some of the spell cards. 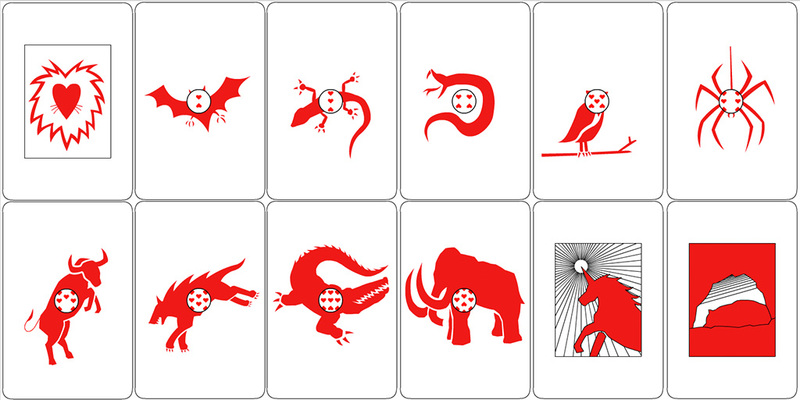 I’ve chosen to differentiate between the 2 cards by giving the spell cards lines and outlines. I’m very happy about how the beasts turned out. What’s next: finish the rest of the clean drawings then start coding.